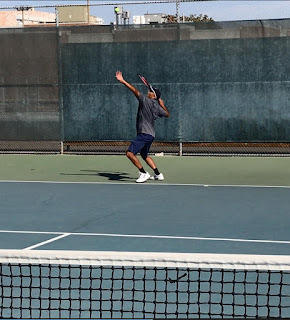 Tennis League Network Blog: Bimal Patel: We checked back in with Bimal after crossing 200 matches played. Bimal Patel: We checked back in with Bimal after crossing 200 matches played. what the professionals go through day in day out. When I hit my goal of playing 200 matches in less than three years, I felt little like a professional tennis player myself. Flexibility in scheduling matches, convenient easy-to-use internet platform, meeting new friends. My recent matches with Ted Nguyen - we played back to back long and close matches which lasted nearly 5 hours. Neither of us knew we could have lasted so long and still play good quality tennis. Though I lost both matches, we both agreed, we would remember this for a long, long time. I have many: Ted, Yogesh, Prasad, Arun, Deepak, Mark, Joe.. They all bring the best out of me. as we get older. 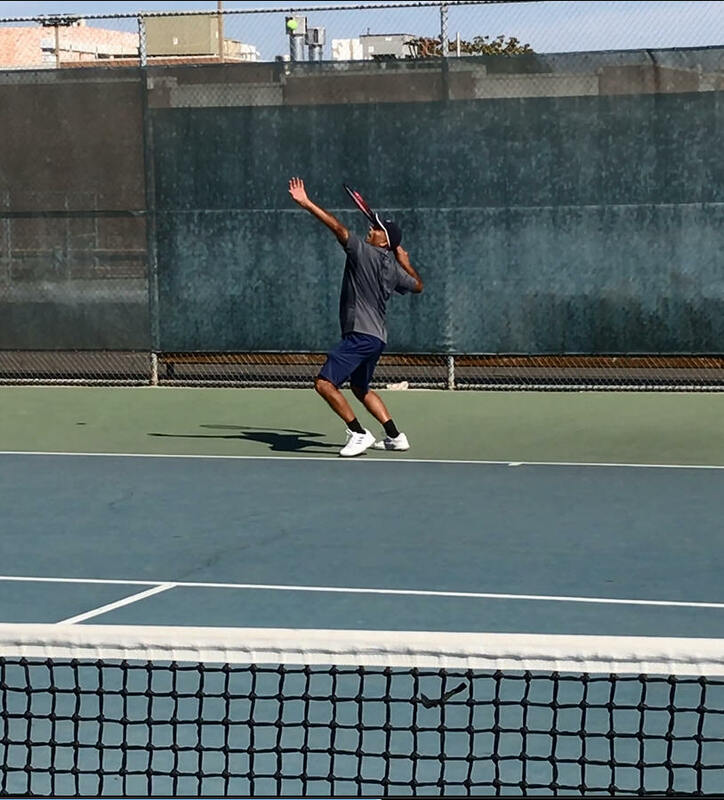 Thanks to participating in the tennis league, I feel more disciplined and honor my commitments to my opponents. Due to league participation, I don't feel forced or compelled, on the contrary I find myself enjoying the whole process. 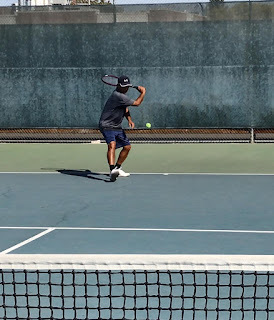 I hope my experience help others in their tennis, fitness, or self-improvement goals. Started hitting on the wall to get some exercise. 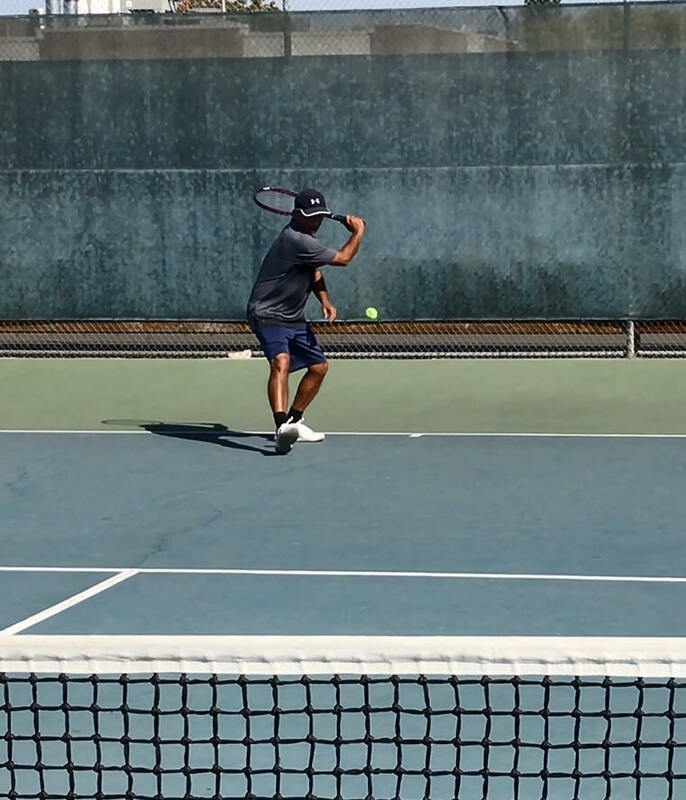 Tennis provides a complete mind and body workout. I work as a software engineer in Silicon Valley. I grew up in India, besides tennis, I love outdoors - hiking, spending time with friends and family.